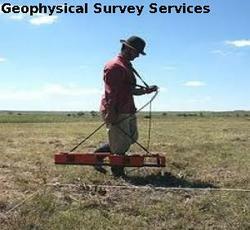 We offer Geophysical Survey Services. Our services also comprises of Highway Construction Survey Services, High Rise Building Construction Survey Services and Bridge Construction Survey Services. We offer Geophysical Survey Services. Our team can meet standards of oil companies, construction companies, consulting and engineering firms. Our extensive knowledge in this domain assists us in offering well managed Geographical Survey. The critical information we gather includes survey purpose, survey area specifics, target type, estimated depth to target, background geologic information, field and final products required and scheduling requirements. Using sophisticated hardware’s and software’s systems, we acquire high resolution ERT, GPR, Seismic Reflection, Refraction, Surface waves, Gravity and Gradiometer data. Offered services are applauded due to their hassle free management, excellent work quality, perfect execution and reasonable rates.